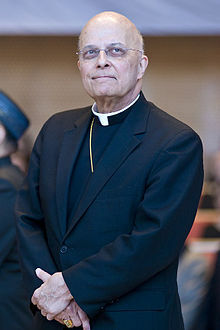 Burlington, Vt. – Truth Wins Out called on Chicago Archbishop Cardinal Francis George to leave his post today after he foolishly compared the LGBT community to the Ku Klux Klan. George’s over-the-top remarks were so extreme that they shredded his credibility and permanently damaged his ability to serve as a respected voice of reason. George’s offensive remarks came during a dispute over the scheduled starting time of the annual gay pride parade in June. The event was originally set to begin at 10am, but a priest bitterly complained that the starting time would interfere with morning services. The parade’s starting time has been changed to noon.